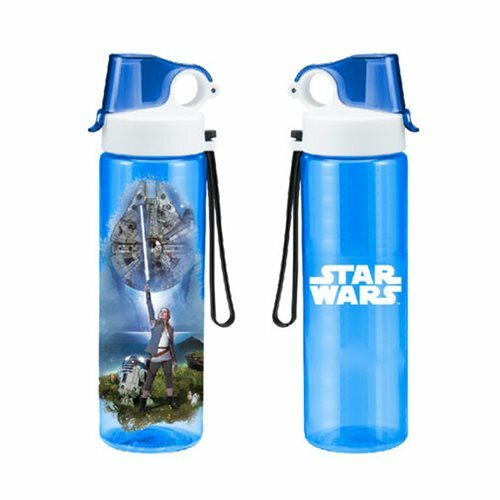 Boasting an incredible image that includes Rey with her lightsaber held high, R2-D2, and the Millennium Falcon, this sensational 10-inch tall Star Wars: The Last Jedi 24 oz. Tritan Sport Bottle is made from durable Eastman Tritan plastic and features a spill-proof sport lid with straw. BPA free, it has an insulated double-wall design and resists condensation. Hand wash only. Not dishwasher safe. Do not microwave. Ages 13 and up.